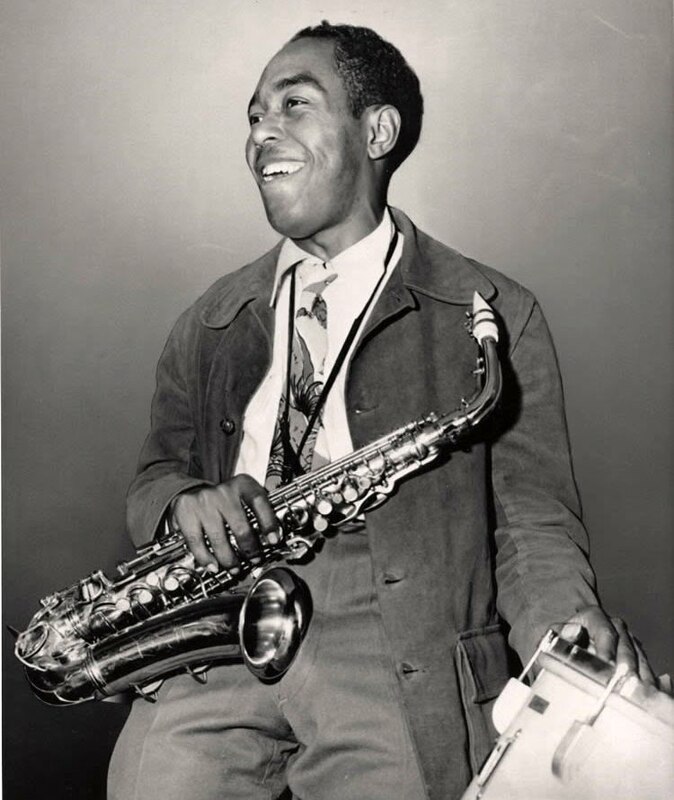 (born August 29, 1920, Kansas City, Kan., U.S.—died March 12, 1955, New York, N.Y.) American alto saxophonist, composer, and bandleader, a lyric artist generally considered the greatest jazz saxophonist. Parker was the principal stimulus of the modern jazz idiom known as bebop, and—together with Louis Armstrong and Ornette Coleman—he was one of the three great revolutionary geniuses in jazz. I'd been getting bored with the stereotyped changes (harmonies) that were being used all the time. … I found that by using the higher intervals of a chord as a melody line and backing them with appropriately related changes I could play the thing I'd been hearing. I came alive. Parker recorded his first solos as a member of Jay McShann's band, with whom he toured the eastern United States in 1940–42. It was at this time that his childhood nickname “Yardbird” was shortened to “Bird.” His growing friendship with trumpeter Dizzy Gillespie led Parker to develop his new music in avant-garde jam sessions in New York's Harlem. Bebop grew out of these experiments by Parker, Gillespie, and their adventurous colleagues; the music featured chromatic harmonies and, influenced especially by Parker, small note values and seemingly impulsive rhythms. Parker and Gillespie played in Earl Hines's swing-oriented band and Billy Eckstine's more modern band. In 1944 they formed their own small ensemble, the first working bebop group. The next year Parker made a series of classic recordings with Red Norvo, with Gillespie's quintet (“Salt Peanuts” and “Shaw Nuff”), and for his own first solo recording session (“Billie's Bounce,” “Now's the Time,” and “Koko”). The new music he was espousing aroused controversy but also attracted a devoted audience. By this time Parker had been addicted to drugs for several years. While working in Los Angeles with Gillespie's group and others, Parker collapsed in the summer of 1946, suffering from heroin and alcohol addiction, and was confined to a state mental hospital.Following his release after six months, Parker formed his own quintet, which included trumpeter Miles Davis and drummer Max Roach. He performed regularly in New York City and on tours to major U.S. cities and abroad, played in a Gillespie concert at Carnegie Hall (1947), recorded with Machito's Afro-Cuban band (1949–50), and toured with the popular Jazz at the Philharmonic troupe (1949). A Broadway nightclub, Birdland, was named after him, and he performed there on opening night in late 1949; Birdland became the most famous of 1950s jazz clubs.The recordings Parker made for the Savoy and Dial labels in 1945–48 (including the “Koko” session, “Relaxin' at Camarillo,” “Night in Tunisia,” “Embraceable You,” “Donna Lee,” “Ornithology,” and “Parker's Mood”) document his greatest period. He had become the model for a generation of young saxophonists. His alto tone was hard and ideally expressive, with a crying edge to his highest tones and little vibrato. One of his most influential innovations was the establishment of eighth notes as the basic units of his phrases. The phrases themselves he broke into irregular lengths and shapes and applied asymmetrical accenting. His brilliant, innovative technique—speed of execution, full sound in all registers, and precision during very fast tempos—was widely imitated.Parker's most popular records, recorded in 1949–50, featured popular song themes and brief improvisations accompanied by a string orchestra. These recordings came at the end of a period of years when his narcotics and alcohol addictions had a less disruptive effect on his creative life. By the early 1950s, however, he had again begun to suffer from the cumulative effects of his excesses; while hospitalized for treatment of an ulcer, he was informed that he would die if he resumed drinking. He was banned from playing in New York City nightclubs for 15 months. He missed engagements and failed to pay his accompanying musicians, and his unreliability led his booking agency to stop scheduling performances for him. Even Birdland, where he had played regularly, eventually fired him. His two-year-old daughter died; his fourth marriage fell apart. He twice attempted suicide and again spent time in a mental hospital.If Parker's life was chaotic in the 1950s, he nonetheless retained his creative edge. From roughly 1950 he abandoned his quintet to perform with a succession of usually small, ad hoc jazz groups; on occasion he performed with Latin American bands, big jazz bands (including Stan Kenton's and Woody Herman's), or string ensembles. Recording sessions with several quartets and quintets produced such pieces as “Confirmation,” “Chi-Chi,” and “Bloomdido,” easily the equals of his best 1940s sessions. Outstanding performances that were recorded at concerts and in nightclubs also attest to his vigorous creativity during this difficult period. He wanted to study with classical composer Edgard Varèse, but, before the two could collaborate, Parker's battle with ulcers and cirrhosis of the liver got the better of him. While visiting his friend Baroness Nica de Koenigswarter, he was persuaded to remain at her home because of his illness; there, a week after his last engagement, he died of a heart attack.The impact of Parker's tone and technique has already been discussed; his concepts of harmony and melody were equally influential. Rejecting the diatonic scales common to earlier jazz, Parker improvised melodies and composed themes using chromatic scales. Often he played phrases that implied added harmonies or created passages that were only distantly related to his songs' harmonic foundations (chord changes). Yet for all the tumultuous feelings in his solos, he created flowing melodic lines. At slow tempos as well as fast, his were intense improvisations that communicated complex, often subtle emotions. The harmonies and inflections of the blues, which he played with passion and imagination, reverberated throughout his improvisations. Altogether, Parker's lyric art was a virtuoso music resulting from a coordination of nerve, muscle, and intellect that pressed human agility and creativity to their limits.Parker's influence upon modern jazz was immense. His many followers included Ornette Coleman, John Coltrane, and Albert Ayler—leading figures in the development of free jazz. His difficult life was the subject of Bird (1988), a film directed by Clint Eastwood. © 1994-2008 Encyclopædia Britannica, Inc.